Scribblers' Rest: Scribblers' Rest: Episode 24 - Pathfinder - Rappan Athuk! : – Thieves Can't! Scribblers' Rest: Episode 24 - Pathfinder - Rappan Athuk! : – Thieves Can't! 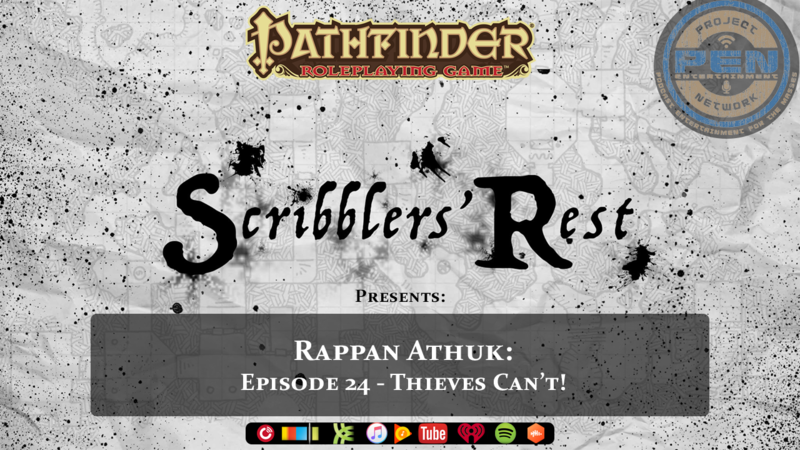 The Scribblers get real as they venture head first into Rappan Athuk: Episode 24 – Thieves Can’t! The party encounters a group of thieves in the ruins. Will they be able to keep the patrol from alerting the thieves’ base camp? Or are things about to get a lot more real for our adventurers?